Mustard plaster has amazing health benefits, though it is mainly used for cold and cough related problems, it has other uses too. Although you can use store bought mustard powders, I prefer using my own homemade mustard powder, as it is the most effective. If you are using store bought mustard powder, make sure to use from a pack that you have opened up recently. 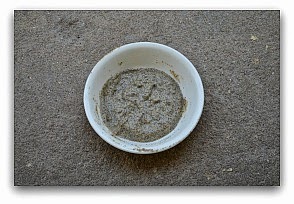 To make the mustard plaster, first grind the mustard into a fine powder in a dry jar. Add the given amount of flour to the mustard powder and mix well into a thick paste using water. Take a thick cloth and spread the mustard paste on it. Now apply a thin coat of coconut or olive oil on the skin, that plaster has to be applied. 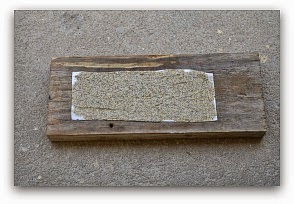 Apply the plaster over the thin coat of oil and cover with a hot wet towel. Take the plaster out after 20 to 30 minutes, once the heat from the towel has reduced. If you have a very sensitive skin, cover the mustard paste with another thin cloth and then apply on top of the skin. Please make sure to check the skin periodically to see if there is any redness or irritation, especially if you are using it for the first time. It has been used for centuries to treat chest congestion. It is a very effective home remedy that can be used for both adults and children. When we get cold and flu, the main problem is the phlegm, many of us find it hard to cough out the phlegm. Applying mustard plaster on the chest helps greatly in bringing out the phlegm. Mustard increases circulation and heat to the area that it is applied, thus helping in bring out the phlegm. Many get scared of applying mustard plaster because of getting burnt, but applying the mustard like shown in this recipe is very safe. 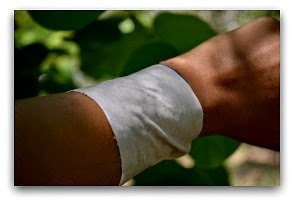 Mustard plaster is an effective way to reduce the infection and treat the boils quickly. Apply the mustard plaster over the boils to make them mature and drain fast. As mustard plasters warms up the body, it encourages perspiration thus bringing down the body temperature. Since mustard has anti inflammatory properties, applying a warm plaster over the joints greatly helps in easing the pain. 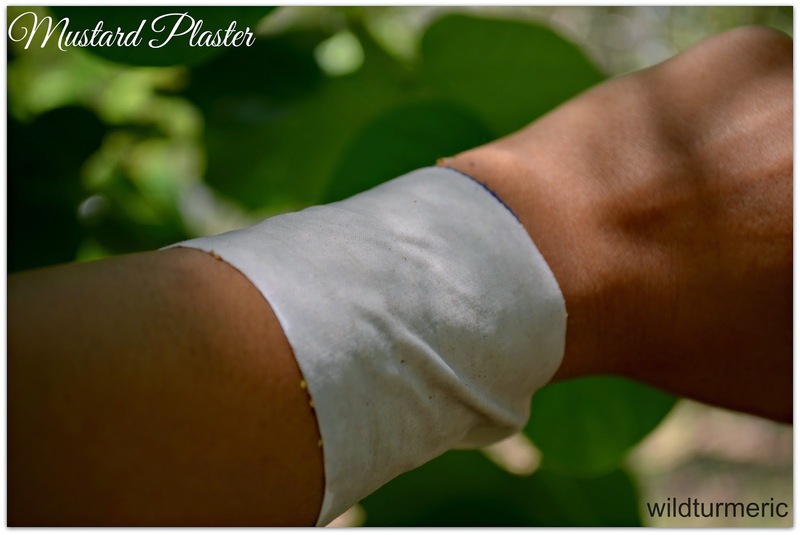 Mustard plasters are known for their effectiveness in bringing out the toxins from the body. 1. 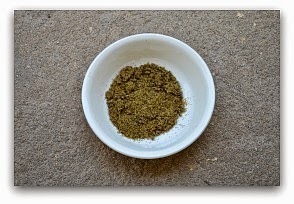 Take mustard seeds and powder them finely in a mortar and pestle to a fine powder. 2. Add flour to the powdered mustard seeds and mix into a paste with little warm water. The paste should neither be too thick nor too thin. 3. Take a piece of cotton cloth and sterilize it by boiling it in water and then squeeze the out the water completely. Spread a thin layer of the mustard paste on the cloth. If you feel your skin is burning, remove the plaster and wash the area with water. But that happens only to people with very very sensitive skin. I use it directly on my skin itself. 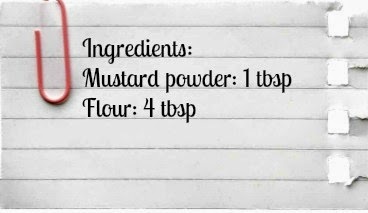 I have used 1: 4 ratio for mustard powder and flour, you can also increase the ratio to 1:5. I used whole wheat flour, you can use any flour that you have at home. Because we are adding flour and then applying on top of a thin layer of oil, this plaster is very safe to apply on children too. Next Post 5 Top Benefits, Uses Of Kadukkai Powder (Haritaki Powder) For Skin, Hair & Health! I learned from my homeopathic doctor to put a piece of onion in my ear. Works every time. Don't make it to small. Can it be used for babies ? My baby is 6 months and has cough. Mustard plaster might irritate the skin of babies, I would suggest not using it till they turn 3 years old..
love the post. what does a blister look like from mustard plaster? The skin will turn red…. My grandma used to do this with my family for years. Works grest. We didn't apply directly to skin, just put between 2 pieces of cloth. Food is our medicine. My grandmother used these on my mom in the early 20'sAnd of course good strong mustard with any good brats:)Now I need to go to the grocery! My grandmother started using these mustard plasters on me 50 years ago. My mother continued and now I am passing the use on. Works excellent. Thank you for the recipe. Are you using flour from white or brown mustard? Can the flour from both white and brown mustard be used and if yes is the ratio of mixing with wheat flour the same? Does mustard from a jar work also? I have been using Mustard Plasters for years but with one differents. I use 2 heaping tablespoons of Mustard, 2 of Flour and 2 of Baking Soda. could be a heart attack?